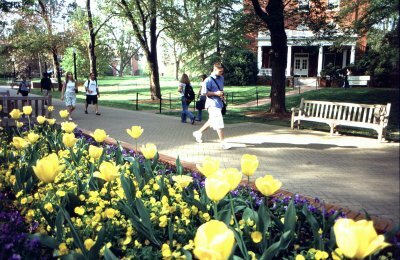 UMW is a hard school to describe fully without experiencing it. It's lacking in many areas, especially diversity among students. The classes are ridicilously hard, you would think you were at an Ivy league. That's another down side, people don't even know the school outside of VA - and if they do, they assume it is an all girls school. This leaves the students with little, if any, motivation to keep up with the insane academic standards. The mental health of the University is dangerous, many of my friends were suicidal. There are no parties, and if they are any - the police break them up. Students sit in their dorm rooms on the weekends depressed or go home to their houses in Northern VA. The campus is beautiful, that's about the only positive thing I experience here - and trust me that wears off after a few days on campus. Students are the same: white, preppy, high schoolish, and given money from mommy and daddy who are rich. These students need more experience with the real world. ADVISING IS HORRIBLE - YOU HAVE TO FIGURE OUT YOUR DEGREE REQUIREMENTS WITH NO GUIDANCE!!! The administration also lied to me about my transfer credits being accepted towards my major, and once I was there - they became electives. Do yourself a favor and skip the mary washington experience, you've already had it in high school.